Most people are used to booting their computer, which employs Windows, from their internal hard drive. But what does one do if their version of Windows fails to boot? How do you fix the issue? It’s really simple – you can create a bootable USB drive to run your computer. While most Windows users might not be aware of this, it’s very common among people who use the thousands of Linux distros that are freely available over the internet. So, how does one create a bootable disk? Better still, how does one run it on their system? If you are using a pen drive, make sure that it has at least 4 GB of space. Once you understand this, you’ll have to either find an ISO image of a Linux distro that you want to use or even Windows 7 or 8 if you need to. Next, install a program from pendrivelinux.com to convert your USB drive into bootable disk using the ISO image you just downloaded. The most common one used for Ubuntu is Unetbootin. This program isn’t difficult to use as there are many articles available on the internet to help one run this program so as to create a bootable disk. Please keep in mind that some Linux distros have a specific USB installer created just for that particular distro – like Jolicloud OS, for example. 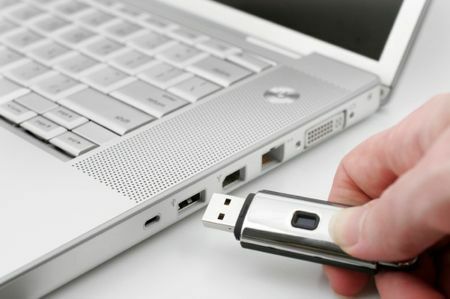 Once you’ve created a bootable USB, restart your computer, and hit F12 or the corresponding key to select ‘Boot Options’ before the system loads the default operating system installed on your hard drive. In other words, as soon as you see the hardware manufacturer’s logo, hit the key once to select how you going to boot your computer. Select ‘USB Storage’ and in no time, you can either do a clean install of Windows or Linux on your hard drive but also run your system permanently using a USB drive if you so wish. Using a Windows repair disk is not such a bad idea either.